It’s hard to think of a single aspect of life which criminals won’t try to turn into an opportunity – and property is certainly no exception. 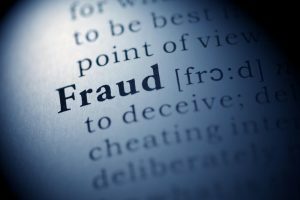 In what follows, we’ll examine two of the most common types of fraud and some of the measures you can take to reduce the chances of you becoming a victim. The basic principles of this scam have been applied, in one form or another, for at least 300 years. It usually involves somebody asking you to invest in property (often buy-to-let) or land. The returns promised are often exceptionally attractive and the risks are portrayed as low to non-existent. This isn’t a question either of just a phone-call being made to your home with the appropriate offer. Quite often the crooks operate from well-appointed (though short-term rented) offices and they might run large-scale extravagant seminars and conferences in major venues such as luxury hotels. In some cases, some of the people you might see in their office are actually unaware that a criminal activity is being perpetrated and they believe they are working in a legitimate capacity. the land being proposed for purchase and development of property is actually zoned for agriculture, with little or no prospect of it ever being approved for building purposes; etc. By the time you have discovered the true nature of the proposition, your money will have disappeared, along with the proposing company and their apparent business. Incredible as it may sound, there are people that will steal information that apparently “proves” that they are you! They will then use that to do something such as making an application for a second mortgage on a property you own. If their application is approved and the funds advanced, they will then quickly disappear never to be seen again. You will then be left with the considerable confusion and legal overhead of trying to resolve the mess. In practice, there may be very little you can do to stop people pretending to be you. A lot of information about who you are, where you live, and your background etc. is not exactly secret. These crooks typically rely on organisations (e.g. mortgage lenders) and sometimes individual victims, not really performing adequate checks before they part with money. That’s why they often prefer properties that are unoccupied in the case of identity theft or those that are difficult for potential investors to get to and check out in the case of investment scams. make sure property you own is noted on the land registry as requiring direct communication with you if it is put up for sale. You can also specify that it cannot be sold or lent against without written confirmation from your solicitor that you have agreed and that your solicitor has confirmed your identity. The government has specific advice on this and related subjects. It’s well worth reading. Who needs let property insurance?